On the heels of two million-selling albums, Summer Breeze and Diamond Girl, Jim Seals and Dash Crofts found themselves at a crossroads. They’d managed to work many of the key tenets of the Baha’i faith into their lyrics, and after every concert they returned to the stage, house lights up, and held informal “fireside chats” about their religion with whomever felt like sticking around. That seemed to be enough. Proselytizing was and is a no-no for Baha’is, but Seals and Crofts had found a safe middle ground, where they could express their beliefs, and still have hit records. In 1973, however, when Roe vs. Wade was handed down, the singing/songwriting duo decided to put their mouth where their money was. And it cost them. The landmark Supreme Court decision legalizing abortion in the United States went against everything they believed in. Lana Day Bogan, wife of the duo’s recording engineer and longtime crony Joe Bogan, had seen a television documentary on abortion and was moved to write a poem, from the point of view of the fetus. Seals, at Lana’s suggestion, put it to music. Oh, little baby, if you only knew. This was the proudly pro-life “Unborn Child,” Seals and Crofts’ follow–up to the sweet and singable pop hits “We May Never Pass This Way (Again)” and “Diamond Girl.” The album, also called Unborn Child, appeared in February 1974. Both Seals and Crofts insist the song’s message was, simply “don’t take life too lightly,” to stop and think before going through with an abortion. But the critics tore the record to pieces, and Seals and Crofts with it. The public did not respond at the cash registers: Although the album made it to No. 14 on the Billboard chart, the single stalled at No. 66. “I don’t know whether people knew what was in there or not,” Seals recalls, “but some of the pro–abortionists called up the radio stations and demanded equal time. Well, that killed the airplay on it. What we had done is we had taken a single issue. Before, we were dealing with the general concept of things. Unborn Child hurt Seals and Crofts’ reputation: They had crossed that thin line, that sacrosanct divider that separated their music from their religious beliefs. They toured for much of 1974 with the issue hanging over their heads. They’d struggle along for another few years, hitless, before giving it all up in the early ‘80s. 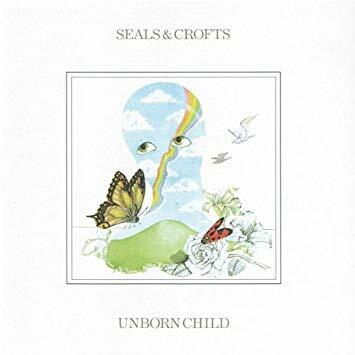 “Unborn Child” was, for Seals and Crofts, the beginning of the end.